I survived our second session of marriage counseling. I don’t like it, makes me more aware of my feelings. Maybe that’s the point, but maybe I don’t like my feelings. I think Bob feels like the counselor is grading us, I don’t care if he is. Bob lists the things that he can do to “be a better husband” and the things he’d like to see in me to be the ” better wife”. I don’t care about us being better at our roles, I care about us being better period. I think we’ve still got some healing to do. He physical and Me emotional. The counselor suggests that we write a paragraph or two about our spouse. Here’s the catch – write what it has been like to be your spouse for the last few years, from your spouse’s perspective. Should be interesting. Oh, and one more thing, there is a plant in the counselors office that has one very long branch. This long branch has been secured with staples ( not kidding) along the edge of the ceiling around one whole wall of his office. And this infuriates me. That may be my clue that I need to keep going to counseling. 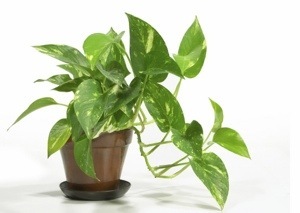 “Irrational anger: as evidenced by hating a common house plant “. Yup. 2014! Where has the time gone? Haley called yesterday and asked if I could give her a ride to a friends house. She came over and sat for a bit. I fed her and we talked. She is going to stay with a friend, the friend she had been living with got kicked out by her mom….therefore Haley is now homeless again. How bizarre that my 18 year old niece is essentially homeless. Floating from couch to couch, living with God knows whom. I hate it. But can’t fix it. She’s basically living her mother’s life. If mom were here Haley would be living with her. Or if mom were here Haley would be living with her mother, who wouldn’t have run off to live with God knows whom… Every relationship she has is broken. Just finished a time of fasting and prayer with my church. My prayer? I think just for clarity, and a deeper relationship with God again. I want to feel Him near. I think what I learned is that I’ll need to move closer to Him and that this relationship will require work. I started marriage counseling with Bob to work on that relationship…is there relationship counseling with God? If broken relationships are to be mended, I Guess I need to start with God.